Thankfully after the reams of changes to superannuation in last years budget that we are still trying to negotiate the through the implementation minefield, the government have left SMSFs and Superannuation largely untouched this year. As the SMSF Association have said “Stability and confidence for superannuation is the good news coming out of the 2017-18 Federal Budget.” However there are a few issues and gladly opportunities you need to be aware of. Tip: If you’re over 65 self funded retiree and your marginal tax rate is more than 15% then strategy may be useful. May also help avoid the Medicare levy increase in 2 years time. Pensioners who lost their Pensioner Concession Card entitlement due to the assets test changes on 1 January 2017 will have their card reinstated. This card provides access to a wider range of concessions than those available with the Health Care Card, such as subsidised hearing services. Pensioner Concession Cards will be automatically reissued over time with an ongoing income and assets test exemption. As of 1 July 2018, there will be stricter residence requirements for the age pension and disability support pension. From that date, pension recipients will need to have at least 15 years’ residence in Australia or 10 years’ continuous residence with certain restrictions. Example of how to use this strategy: Get your child or grandchild to salary sacrifice up to $15,000 each year until they max out the $30,00 limit and let them live at home or support their living costs to ensure they can still make ends meet. This way you promote a savings culture and they get a tax incentive at the same time. Boost the savings by matching what they put in to the super account dollar for dollar in to an High Interest Savings account. If you are giving money to children then teach them a valuable life lesson on regular saving at the same time…best gift you can give to them. The Government will introduce a major bank levy which will raise $6.2 billion in the next four years. This will either be passed on to customers with lower rates on deposits or higher mortgage rates or to shareholders in the form of lower dividends. Another good reason to review your exposure to the large banks as the market cycle changes. The Government is proceeding with amendments to the transfer balance cap and total superannuation balance rules for limited recourse borrowing arrangements (LRBAs). The outstanding balance of an LRBA will now be included in a member’s annual total superannuation balance for all new LRBAs once this legislation is passed. The Government will amend the non-arm’s length income rules to prevent member’s using related party transactions on non-commercial terms to increase superannuation savings by including expenses that would normally apply in a commercial transaction. Also from 1 July 2017, plant and equipment depreciation deductions will be limited to outlays actually incurred by the SMSF in residential real estate properties. Plant and equipment items are usually mechanical fixtures or those which can be ‘easily’ removed from a property such as dishwashers and ceiling fans. Here’s the list of residential #property plant and equipment items that will go in crack down on negative gearing deductions. Here’s the list of residential property plant and equipment items that will go in crack down on negative gearing deductions. This measure addresses concerns that some plant and equipment items are being depreciated by successive investors in excess of their actual value. Acquisitions of existing plant and equipment items will be reflected in the cost base for capital gains tax purposes for subsequent investors. Like every strategy we discuss with clients we stress that have to look at the exit strategies up front rather than scramble to react if something happens that changes the financial position of the members or of the fund. Have to deal with increased transaction costs. Since August 2012 Trustees of an SMSF have been required to consider insurance for members and we would say that is very sensible when debt is involved. In the past strategies like Cross insurance on each member of superannuation fund was often used to reduce the impact that the sudden death or disability of a member may have on a fund however the ATO have ruled out many of these strategies including using the SMSF to fund Buy-Sell Agreements between business partners. If there is life insurance on the member that dies then any proceeds are added to their account balance and can be paid as a lump sum out of the fund to beneficiaries but that may leave a fund a debt still to be paid off and with less contributions going in as one member is deceased and the fund may not have the free cash-flow to fund the full balance pay out without selling the property. The strategies outlined below are those now available as to manage the cash-flow liquidity issues and death benefit payment requirements that have arisen when a fund member dies suddenly, whilst the fund still has a Limited Recourse Loan Arrangement in place. If it is 2 spouses or defacto’s that have set up an SMSF and borrowed to purchase an investment property, life insurance is often used to extinguish the debt. The reason for this is that generally the disability or death will eliminate or reduce the level of contributions that are made for the member, from which the loan repayments have been sourced. Where the members of a fund are spouses then death benefits can be paid as an income stream. This means that even if a fund has borrowed to purchase a property, the property does not need to be disposed of to pay out the death benefit. 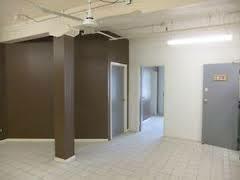 This is even more important if your business is run out of the property. In this case the life/TPD cover can be held by the member covered by the insurance and the premium can be paid from that members account. These arrangements comply with the SIS Regs, and the policy can be held through the self managed fund. If the member dies or becomes disabled, the proceeds will be credited to the affected member’s account and loan will be repaid. Following the repayment of the loan a pension will commence to be paid to the member in the event of TPD or to the spouse in the event of death. If under 65 they can take as little as 4% per annum to keep as much in the fund as possible. The loan is paid out. Diane starts a minimum 4% annual death benefit pension. Only one member left contributing now but no interest to pay. Whether the fund’s cash flow allows for the taking out of the insurance policies. The premiums will normally be deductible in this circumstance as the benefits can be paid as a pension. For younger trustees you should consider Level Premiums and reviewing the cover as the loan is paid down. If a fund is not able to pay a death or disability benefit in the form of a pension because they don’t have a spouse or the fund trust deed does not permit the payment of a benefit as a pension, then it may need to consider the use of a reserve strategy. This strategy involves the fund trustee taking sufficient TPD and death cover over the lives of the fund members to enable the repayment of a loan and the payment of benefits as a lump sum. The fact that the insurance policies are paid from the fund’s reserve and the insurance proceeds in the event of an insured event are credited to the reserve, means that the insurance benefit can remain in the fund. The fact that the insurance proceeds can remain in the fund means that insurance liabilities can be met and the loan repaid without the asset purchased under the borrowing arrangement needing to be sold. In order to implement the strategy effectively, insurance policies premiums for each of the fund members will need to be paid from the reserve. The fact that the premium is paid from the reserve will then require any insurance proceeds after an insured event to be credited to the reserve. So sadly Brad dies …big ahhhh! Death benefits are held in a Reserve. If the members of the fund are business partners rather than spouses, the spouse of the deceased member may feel that the business partners are benefiting from the death of their spouse. It is really important to discuss these strategies upfront with family so they know they are provided for but that the business needs stability too. When the insurance proceeds are credited to a reserve, it may be difficult to transfer that reserve back to fund members without exceeding the excessive concessional contributions cap. The insurance premiums are not tax-deductible under Section 295-465 of the ITAA 97 because the policy is not held for the purpose of providing a fund member with a death or disability benefit. The cost of the insurance premiums could be very high so seek advice on all possible solutions. What happens if a trustee fails to address insurance in their SMSF? The ATO have issued long-awaited guidelines providing SMSF trustees with suggested ‘Safe Harbour’ loan terms on which trustees may use to structure a related party Limited Recourse Borrowing Arrangement (LRBA) consistent with dealing at arm’s length with that related party. ..for income tax purposes, the Commissioner accepts that an LRBA structured in accordance with this Guideline is consistent with an arm’s length dealing and that the NALI provisions do not apply purely because of the terms of the borrowing arrangement. The ATO first released and then re-issued ATO Interpretative Decisions in 2015 (ATO ID 2015/27 and ATO ID 2015/28), dealing with Non-Arm’s Length Income(NALI) derived from listed shares and real property purchased by an SMSF under an LRBA involving a related party lender – where the terms of the loan were not deemed to be on commercial terms. These ATOIDs state that the use of a non-arm’s length LRBA gives rise to NALI in the SMSF. Broadly, the rationale for this view is that the income derived from an investment that was purchased using a related party LRBA, where the terms of the loan are more favorable to the SMSF, is more than the income the fund would have derived if it had otherwise being dealing on an arm’s length basis. NALI is taxed at the top marginal tax rate, currently 47% – regardless of whether the income is derived while the fund is in accumulation phase where tax is normally 15% or in pension phase when the income would usually be tax exempt. After that bombshell, the ATO announced that it would not take proactive compliance action from a NALI perspective against an SMSF trustee where an existing non-commercial related party LRBA was already in place, as long as such an LRBA was brought onto commercial terms or wound up by 30 June 2016. The ATO has issued Practical Compliance Guideline PCG 2016/5. As a result, provided an SMSF trustee follows these guidelines in good faith, they can be assured that (for income tax compliance purposes) their arrangement will be taken to be consistent with an arm’s length dealing. The ‘Safe Harbour’ provisions are for any non-bank LRBA entered into before 30 June 2016, and also those that will be entered into after 30 June 2016. Broadly, this PCG outlines two ‘Safe Harbours’. These Safe Harbours provide the terms on which SMSF trustees may structure their LRBAs. An LRBA structured in accordance with the relevant Safe Harbour will be deemed to be consistent with an arm’s length dealing and the NALI provisions will not apply due merely to of the terms of the borrowing arrangement. The terms of the borrowing under the LRBA must be established and maintained throughout the duration of the LRBA in accordance with the guidelines provided. Interest Rate RBA Indicator Lending Rates for banks providing standard variable housing loans for investors. 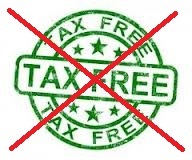 Use the May rate immediately preceding the tax year. Fixed / Variable Interest rate may be fixed or variable. Interest rate may be fixed or variable. Original loan – 15 year maximum loan term (both residential and commercial). Re-financing – maximum loan term is 15 years less the duration(s) of any previous loan(s) in respect of the asset (for both residential and commercial). Rate may be fixed for a maximum period of 5 years and must convert to a variable interest rate loan at the end of the nominated period. The total loan term cannot exceed 15 years. Original loan – 7 year maximum loan term. Re-financing – maximum loan term is 7 years less the duration(s) of any previous loan(s) in respect of the collection of assets. Rate may be fixed up to for a maximum period of 3 years and must convert to a variable interest rate loan at the end of the nominated period. The total loan term cannot exceed 7 years. For an LRBA in existence on publication of these guidelines, the trustees may adopt the rate of 7.75% as their fixed rate provided that the total period for which the interest rate is fixed does not exceed 3 years. The interest rate must convert to a variable interest rate loan at the end of the nominated period. The total loan cannot exceed 7 years. LVR Maximum 70% LVR for both commercial & residential property. Total LVR of 70% if more than one loan. Maximum 50% LVR. Total LVR of 50% if more than one loan. Security A registered mortgage over the property. A registered charge/mortgage or similar security (that provides security for loans for such assets). Nature & frequency of repayments Each repayment is to be both principal and interest. Repayments to be made monthly. Each repayment is to be both principal and interest. Repayments to be made monthly. Loan Agreement A written and executed loan agreement is required. A written and executed loan agreement is required. Information sourced from Practical Compliance Guidelines PCG 2016/5. Potential Trap to be aware of: Importantly, as part of this announcement, the ATO also indicated that the amount of principal and interest payments actually made with respect to a borrowing under an LRBA for the year ended 30 June 2016 must be in accordance with terms that are consistent with an arm’s length dealing.Information sourced from Practical Compliance Guidelines PCG 2016/5. It is the applicable rate under Column N of the above spreadsheet (click on link). The rate seems to have started in August 2015 but I assume we must use the May rate from now on. A complying SMSF borrowed money under an LRBA, using the funds to acquire commercial property valued at $500,000 on 1 July 2011. The borrower is the SMSF trustee. The lender is an SMSF member’s father (a related party). A holding trust has been established, and the holding trust trustee is the legal owner of the property until the borrowing is repaid. the SMSF met all the costs associated with purchasing the property from existing fund assets. the loan agreement is in writing. Consistent with ATO ID 2015/27 and ATO ID 2015/28, the LRBA is not considered to have been established or maintained on arm’s length terms. The income earned from the property, which is rented to an unrelated party, will give rise to NALI. At 1 July 2015, the property was valued at $643,000, and the SMSF has not repaid any of the principal since the loan commenced. To avoid having to report NALI for the 2015-16 year (and prior years) the Fund has a number of options. The SMSF and the lender could alter the terms of the loan arrangement to meet Safe Harbour 1 (for real property). The 70% LVR is met (in this case, the value of the property at 1 July 2015 may be used). Based on a property valuation of $643,000 at 1 July 2015, the maximum the SMSF can borrow is $450,100. The SMSF needs to repay $49,900 of principal as soon as practical before 30 June 2016. The loan term cannot exceed 11 years from 1 July 2015. The SMSF must recognise that the loan commenced 4 years earlier. An additional 11 years would not exceed the maximum 15 year term. The SMSF can use a variable interest rate. Alternatively, it can alter the terms of the loan to use a fixed rate of interest for a period that ensures the total period for which the rate of interest is fixed does not exceed 5 years. The loan must convert to a variable interest rate loan at the end of the nominated period. The interest rate of 5.75% applies for 2015-16 and 5.65% p.a. applies from 1 July 2016 to 30 June 2017. The SMSF trustee must determine and pay the appropriate amount of principal and interest payable for the year. This calculation must take the opening balance of $500,000, the remaining term of 11 years, and the timing of the $49,900 capital repayment, into account. After 1 July 2016, the new LRBA must continue under terms complying with the ATO’s guidelines relating to real property at all times. For example, the SMSF must ensure that it updates the interest rate used for the loan on 1 July each year (if variable) or as appropriate (if fixed), and make monthly principal and interest repayments accordingly. The fund could refinance the LRBA with a commercial lender, extinguish the original arrangement and pay the associated costs. While the original loan remains in place during the 2015-16 income year, the SMSF must ensure that the terms of the loan are consistent with an arm’s length dealing, and relevant amounts of principal and interest are paid to the original lender. The SMSF may choose to apply the terms set out under Safe Harbour 1 to calculate the amounts of principal and interest to be paid to the original lender for the relevant part of the 2015-16 year. The SMSF may decide to repay the loan to the related party, and bring the LRBA to an end before 30 June 2016. While the original loan remains in place during the 2015-16 income year, the SMSF must ensure that the terms of the loan are consistent with an arm’s length dealing, and the relevant amounts of principal and interest are paid to the original lender. The guidelines provided in this PCG are not applicable to an SMSF LRBA involving an investment in an unlisted company or unit trust (e.g. where a related party LRBA has been entered into to acquire a collection of units in an unrelated private trust or a 13.22C compliant trust). As such, trustees who have entered into such an arrangement will have no option but to benchmark their particular loan arrangement based on commercial loan terms, or to bring the LRBA to an end. Please visit out SMSF Property page to get details on all available strategies for SMSF property investors. where additional contributions are made in order to comply with the Australian Taxation Office’s (ATO) Practical Compliance Guideline (PCG) 2016/5 related to limited recourse borrowing arrangements, provided they are made prior to 31 January 2017. Additional non-concessional contributions made under these proposed transitional arrangements will count towards the lifetime cap, but will not result in an excess. I hope this guidance has been helpful and please take the time to comment. Feedback always appreciated. Please reblog, retweet, like on Facebook etc to make sure we get the news out there. As always please contact me if you want to look at your own options. We have offices in Castle Hill and Windsor but can meet clients anywhere in Sydney or via Skype. Click here for appointment options. Immediately after I published my last blog Stamp Duty Requirements on Change of SMSF Trustees I got questions on stamp duty on property transfers to a Self Managed Superannuation Fund. 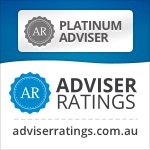 At first I attempted to the answers myself but to ensure ongoing accuracy I am pleased to have Caroline Harley, one of the best lawyers in the SMSF sector review and update this information. So here is the current breakdown on stamp duty for property investors or small business owners looking to move property they own personally in to their SMSF. Stamp duty imposed by State and Territory governments should always be researched and considered before transferring land to an SMSF. Concessions or exemptions from duty may be available depending on the State or Territory in which the land is situated. This concession can be very significant. If the SMSF purchases NSW land/property from a member with a market value of $500,000, the duty which would apply (but for the concession) is $17,990. With the concession, the saving in duty is $17,490. Reminder: the land/property must be business real property owned in the personal name of the member rather than a company (otherwise the trustee would not be permitted to acquire the real estate). The provisions of the duties legislation of each State or Territory differ, however where concessions or exemptions are available they generally require the transferor to continue to be the beneficial owner of the land (this relates to business real property as it is the only land which an SMSF may directly acquire from a member). The following tables set out the details of the stamp duty offices and relevant provisions of the relevant legislation in each State and Territory. This is up to date as at 27 February 2017. Duty payable $500 subject to conditions being met. Previously $50 but increased 01/07/2014. Depending on the documentation in place for the transaction you may be able to apply for a retrospective re-assessment and obtain a refund. An SMSF specialist lawyer would be able to advise you on this. General description of legislation Nominal duty is charged on a transfer of dutiable property from a person to a trustee of an SMSF where the: transferor is the only member of the super fund or the property is to be held by the trustee solely for the benefit of the transferor (ie property or proceeds of sale of property cannot be pooled with property held for another member and no other member can obtain an interest in the property or proceeds of sale); and property is to be used solely for the purpose of providing a retirement benefit to the transferor. General description of legislation No duty is charged in respect of the transfer of dutiable property made without monetary consideration to a trustee of a super fund, where there is no change in beneficial ownership (again, property must be held in the personal name of the member and not a company name). A transfer of property to a trustee of a super fund by a beneficiary of the fund does not, for the purposes of this section, effect a change in the beneficial ownership of the property. of legislation A transfer of dutiable property is a dutiable transaction. Document-ation Duties office form and documents are required. ▪ the property (or if sold, the proceeds) can only be held in the superannuation fund to be provided to the transferor as a retirement benefit. If the fund subsequently fails to satisfy any of the requirements (above) full stamp duty is payable in respect of any dutiable property still held. there is no consideration for the transfer. Document- ation Application form is required – ‘Superannuation Fund Transactions – Application for Nominal Duty’. General description of legislation Duty is charged on a transfer of dutiable property. Document-ation Lodgement form and documents are required. General description of legislation A conveyance of dutiable property is a dutiable instrument. General description of legislation Where the duties office is satisfied there is no change in the beneficial ownership of the property duty chargeable on the transfer is $50. Also an exemption is available in certain circumstances regarding the transfer of primary production land. Document-ation For primary production see ‘Documentary Evidence requirements Guideline’, for other transfers duties office reviews each transfer on its own facts recommend seeking confirmation of eligibility prior to lodgement. Moving Property to an SMSF is not something to be done lightly without looking at the pros and cons as well as the procedures in your state or territory. 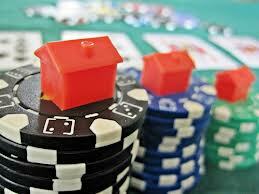 Even more information and complimentary strategy ideas are available on our Property in a SMSF page. Contact Caroline for specific legal advice on your proposed strategy. 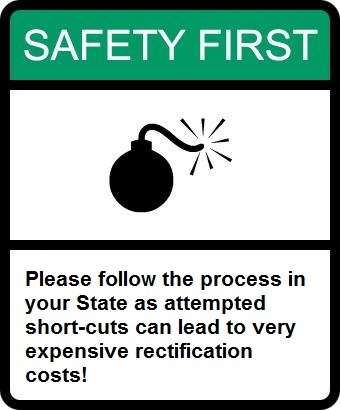 You recently mentioned that you it’s possible to do construction within a SMSF where there could be draw downs? Did you do an article on this somewhere that I could research? The following is general advice only and you should get very specific advice on your own proposed strategy before spending any money on implementing these strategies. Do not rely on general information in an article to put in place any strategy. I wrote a general article on purchasing House and Land Packages which is linked at the end of this article. But to address the matter of draw downs in specific I will deal with it here. Yes you can engage in construction of a property under a LRBA (Limited Recourse Borrowing Arrangement) or Super Fund Borrowing as it is commonly know. It is also possible to have progress payments if the LRBA is structured properly. 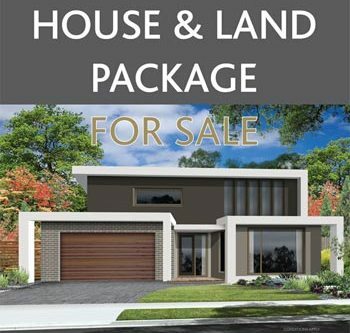 The ATO provides example 10 in SMSFR 2012/1, which concerns the purchase of a house and land package by a SMSF under a LRBA. The ATO had said in that example that “because the contractual arrangement is for the acquisition of land with a completed house on it, and settlement occurs once construction of the house is finished, the deposit and the payment on settlement can be funded under a single LRBA. This was followed up by a request for more details in a National Tax Liaison Group (NTLG) Superannuation Technical Sub=group meeting in December 2012 where they were asked to confirm more than 2 payments could be made, so not just deposit and final settlement payment but progress payments. So they confirmed that it does not have to be only two payments. There can be multiple progress payments under the one single LRBA HOWEVER only if the terms of the LRBA allows the SMSF trustee to make multiple draw-downs for that purpose or if the SMSF funds the progress payments from its own funds. You should also read the March 2013 minutes Section 7.5 Limited recourse borrowing arrangements and the payment of deposits. Please note NTLG minutes are for guidance by the ATO and are not binding rulings so get personalised advice..
the LRBA must allow drawdowns for the deposit, progress payments and settlement. As this is a very specialised process and requires specific wording to the LRBA agreement you need to work with a SMSF Specialist Advisor, experienced Mortgage Broker and a Lawyers who know how to draft personalised documentation. Do not trust a bank to provide all the documentation on a loan like this as they will only be interested in protecting their interest and that may not provide you with the documentation to meet the Section 67A exemptions. It may be better to consider arranging a loan with an offset account (never a redraw facility as that would breach the rules) that is draw down in full initially and the excess stored in the offset account and used to fund the progress payments as the build progresses. Please read my previous blog for more background on this subject Can I borrow to buy a house and land package off the plan in my SMSF? Why not click here to Schedule a Meeting by phone, face to face or via Skype if you want to look at your own options. We have offices in Castle Hill and Windsor but can meet clients anywhere in Sydney or online via Skype. We constantly have people contacting us with ideas of what they want to do with an investment property once they have borrowed to purchase one in their SMSF. Some are sensible but some show no grasp of the regulations at all and include moving the whole family in to save on their home mortgage or knocking it down to build a multi-storey unit development. If you run a self managed superannuation fund, you have the ability to invest in residential property or commercial property and under certain circumstances a farm. (Note: ability to do something does not mean you should). Borrowing to purchase a property in an SMSF or in the industry jargon a “limited recourse borrowing arrangement (LRBA)” has been legal since 2007 and is becoming increasingly popular with SMSF owners seeking to leverage their funds. In May 2012, the ATO released a ruling SMSFR 2012/1, “Self Managed Superannuation Funds: limited recourse borrowing arrangements – application of key concepts.” To clarify its understanding of the legislation. 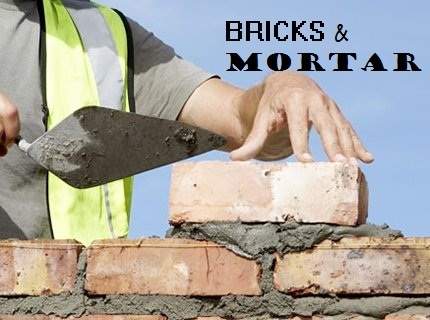 – property development and off-the-plan purchases. – distinguishing between improvements vs repairs or maintenance. – improving an asset to the extent if becomes a replacement asset. In this article I will concentrate on the latter 2 issues as it is ok to use borrowed funds for most repairs or maintenance but you can’t use borrowed money to finance improvements. You can use your other funds in your SMSF to fund improvements so it is a matter of getting the strategy right. ‘Repair’ ordinarily means the remedying or making good of defects in, damage to, or deterioration of, property to be repaired and contemplates the continued existence of the property. A repair replaces a part of something or corrects something that is already there and that is damaged, has become worn out or dilapidated or has deteriorated. Repair may be necessitated through ordinary wear and tear, accidental or deliberate damage or by the operation of natural causes (whether expected or unexpected) during the passage of time. So what can you do and what can’t you do? The following scenarios outline when an existing LRBA will continue to apply to an asset, based on the ATO’s SMSF ruling. · the addition of a garden shed. There is no doubt that this ATO ruling and the examples given are good news, and much appreciated by the SMSF industry who have to deal with enquiries every day. It provides a substantial amount of clarity around many issues that had previously been quite unclear. The common sense and commercial approach by the ATO has also been welcomed and was somewhat unexpected. I always suggest that SMSF Trustees keep sufficient cash flow in the SMSF to finance repairs and maintenance or any expected improvements rather than using borrowed funds and risk running foul of the rules. You should however carefully consider any strategy in the light of these rules and make sure you get a second opinion as often if you are too close to a project you can be blinded to its faults. That’s where a good team of advisors comes to the fore. Checkout : Can I borrow to buy a house and land package off the plan in my SMSF? Please find a link below to an article on the Macro Business blog website about the expected and unexpected effects of the proposed Super changes. Macro Business has an excellent engaged readership and as always the comments tend to be very valuable at exploring the details of any subject just that little bit further. I have had a number of enquiries about this strategy in the last few weeks and I felt it was worth clarifying some details. As with any strategy where you commit to a large future purchase in a moving market and also take a risk on the developer performing to contract, buying off the plan can be risky. Especially because of the way these contracts shift the risk away from the developer. With a Self Managed Super Fund purchase with a mortgage this can be even more of an issue if the proposed lender’s final valuation comes in lower than the contracted price which is more common recently. You may then be forced to come up with the shortfall in your SMSF which may be more difficult if you have exhausted your contribution limits. The “property purchase” should be subject to one contract which must be for the completed house and land. Do not purchase land and then look for an SMSF loan to construct a property on it. You will be too late to use the land as security. It is often better to have the SMSF pay the deposit and only have the lending arranged as part of the settlement. In my opinion the Holding Trust should still be in place with the Custodian/Holding Trustee on the title of the contract from the outset. The only payments made in respect to the purchase are for the deposit and settlement with no “progress payments”. You may breach the “single acquirable asset” rule which is a big no-no!. Be prepared to move quickly at the time of settlement. LRBA loans do not go through lender’s quickly and you should have as much of the documentation prepared in advance and ready to go as is possible. Drum this into your Mortgage Broker and Solicitor. Do not borrow to the limit of your SMSF. Make sure you have some liquidity to manage low valuations or the demand for a lower LVR from the lender. Alternatively have the capacity and ability to add funds to your SMSF without breaching a contribution cap. Now there are some who feel that more than 2 payments are possible and that the law is silent on the matter but my philosophy is to KEEP IT SIMPLE! Why makes things difficult for yourself especially when there are developers out there redesigning their contracts to meet the basic 2 payment strategy. For those looking for more detail I would recommend reading the issues addressed by the ATO their Taxpayer Alert TA 2012/7 and in the minutes of discussion at the NTLG Super Technical sub-group (December 2012) (if you can find a copy as the ATO took down the page) with specific reference to example 10 within SMSFR 2012/1. 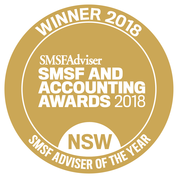 My final tip is to use a SMSF Specialist Advisor who has dealt with SMSF property borrowing and look for references from client’s they successfully guided through the process. Use a conveyancer or solicitor with experience in the intricacies of these strategies. Use a Mortgage broker that knows how to place these specialised loans and is thinking ahead at all times. Oh and READ YOUR TRUST DEED! Following on from our previous 2 articles on SMSF and Property, the next logical step is to show where others have commonly made mistakes and how to avoid these errors. I have looked at the errors as they would be experienced in the pre-planning phase, during the borrowing process and once the loan is in place to make it easier to follow and to refer to later. In my opinion, these errors are the most common cause of investor angst and additional costs. They can lead to extremely negative experiences when borrowing to buy property inside a SMSF and are best avoided! The superannuation system was set up as a concessionally taxed system with one sole purpose and that is to provide for retirement income. The regulators therefore are determined to preserve the integrity of this aim and you should keep this in mind when dealing with any issue related to superannuation and your self-managed super fund in particular. There are numerous compliance obligations that you must consider that would not be of concern to you if buying a property in your own name or that of a family trust. Those jumping in and expecting to be able to fix mistakes should be aware that the system leaves little room for error or mitigation of mistakes. I recommend you use a broker to find out exactly what the lender will require for a loan and check if you would qualify in financial terms before incurring any of the costs in the process. You should expect closer scrutiny of the fund’s deed and financials, your own position and the advice you have received than with ordinary property loans because the lender is offering you a limited recourse product. Limited recourse borrowing arrangements for superannuation funds is still relatively new and was introduced in September 2007 with a major update to the law in July 2010. Further clarifications were made only last year and they may be needed to implement your chosen strategy. Any trust deed set up before July 2007 is unlikely to have the relevant powers required to borrow, grant a charge over an asset, or use a holding trust. As such, I would always recommend a deed upgrade before commencing the process. And as the lender’s solicitors will review your deed before authorising the loan, any omissions in the deed will only result in delays, costs to rectify the deed and possibly additional fees to the lenders solicitors to approve such subsequent changes. You may miss your settlement date and breach your contract as a result. Another reason for planning in advance for this strategy is to be able to display a history of making regular contributions to the fund to satisfy bank requirements. They will question the lack of contributions as an indication of financial hardship or lack of commitment to building liquidity in the fund. Likewise, you need to be able to show capacity to make future contributions. Already, the lowering of the concessional contributions cap to $25,000 has put some single member funds in trouble. The process, as outlined in last week’s article, involves the lender, the vendor and your own legal advisers, your tax advisor/accountant, possibly a legal document company and a mortgage broker. You can see that a delay in any part of the process can be a nightmare to sort out. You can see the benefit of having someone on your side who does know what they’re talking about when it comes to SMSF property investment. Ideally that person should be prepared to overview the deal and be the central point of contact for the others involved who may have issues. Having been brought in to handle problems I can tell you that it can be a mess to untangle. There is no room for “buy now – think later” moves on a weekend buying spree when dealing with an SMSF. If the SMSF has not been setup then a trust does not exist. If you sign a contract or place a deposit for a property without having the name holding Trustee Company established then you face double stamp duty and capital gains tax issues. Using individual trustees for either the SMSF or the holding trustee may lead to finance being delayed or refused. It may also lead to potential exposure to litigation, putting personal assets at risk. For example, should a trades person be injured while working on the property and sue all parties for negligence, an individual trustee will be directly exposed. Using a trading company as trustee for either position is also a mistake, likely to compromise the “bare” trust arrangement. In simple terms, the rules state that trusts should purchase a single asset on one title. The recent ATO ruling SMSFR 2012/1: application of key concepts with LRBAs, provides a degree of clarity by explaining under what circumstances an asset could be viewed as a single asset, which predominantly revolves around whether it cannot be dealt with separately (even if multiple titles are involved). The ATO gives 15 examples as a guide. The presence of any conflict, like in a case where the holding trustee is also the lender to the fund, may weaken the “absolute entitlement‟ of the SMSF to the asset. This could have capital gains and land tax consequences for the fund. An example would be the loan coming from your family trust and having the trustee of that family trust also act as the trustee of the holding trust. Again, I would emphasise that the holding trustee simply holds the title and nothing else. The SMSF trustee is the beneficial owner and must be the borrower on all documentation. If the holding trustee is the borrower, then full stamp duty will be payable on any transfer of title from the holding trustee to the SMSF Trustee when the loan is paid up. Sometimes the holding trustee will have to sign documentation in order for the documentation to be effective. Where this is the case, it should be recorded that the trustee is acting on the instructions of the beneficial owner (i.e. the SMSF trustee). All payments in respect of the transaction must come from the SMSF bank account or the loan facility. In order to facilitate the property transfer on completion of the loan, a documentary evidence showing the trail of payments will be need to be submitted with the request. This is another reason for getting the holding trust deed stamped as recommended later in order to pick up on errors early and seek remedies before financials are completed. This is far better than trying to find solutions years later. not letting your child or sibling move in to a residential property while they get through a rough time. The holding trust deed must be stamped to ensure that the final transfer from the holding trustee to the SMSF trustee attracts only nominal stamp duty. Best practice, and in some states the rules dictate it, is to have the final transfer stamped generally within 30-90 days after it has been activated. As mentioned previously, it makes common sense to gather all the supporting documents stamped while available, and the process confirmed before doing the funds financials for the year. Imagine if your spouse had passed away, or you lost some of the bank’s statements/documentation when trying to do it later, and found double stamp duty being applied by the regulators in your state. Better safe than sorry. The holding trustee only exists to hold legal title to the property while there is a loan outstanding. It may also grant security via a mortgage to the lender and enter into leases of the property on behalf of, and as instructed by, the SMSF trustee. A common mistake is for the holding trustee to have its own Australian business number (ABN), tax file number (TFN), or bank account, which should all be avoided. If the holding trustee performs any other active duties and does not act solely at the direction of the SMSF trustee, then the holding trust may be found to be a separate entity for the purposes of reporting GST. It would then need to prepare and lodge tax returns and the look-through approach to the holding trust may not apply for income, land tax and CGT purposes, which of course means outside of the concessional superannuation environment. Beware of any lender that requests additional duties on the holding trustee and have your solicitor seek to remove these clauses. If you plan to put your fund into pension phase while still holding the property then you need to ensure the fund has enough liquidity to pay the minimum pensions, expected lumps sums and maintenance costs of the fund, such as accounting and advice fees. If unable to do so you may exacerbate the position by having to return to accumulation phase and pay tax on the rental income. Property occupancy is rarely continuous and you need to ensure you have the liquidity to make loan repayments and property expenses during periods without tenants. This is why we warn about setting up funds with small balances or using a high proportion of the fund balance for a single asset purchase. You need to make sure the property is insured in the name of the SMSF trustee so a loan can be paid out in the event of fire or destruction. You should also ensure that unless you have other funds available within the fund, or can contribute enough to repay the loan on death of a member, that you have life and disability cover up to at least the value of the loan on each member. If you are negatively gearing, and will rely on your contributions to the cover loan repayment shortfall, then you should additionally consider income protection insurance. You can harness the DIY renovator within you but the property developer may need to be shackled when it comes to SMSF property under a limited recourse borrowing arrangement. Again, I refer to SMSFR 2012/1 for an explanation of the differences between these very similar terms. In basic terms, you can repair and maintain with the borrowed funds but can only improve the property to a certain extent with other funds of the SMSF. Your SMSF’s auditor and the ATO will keep a close eye on any such expenses and the source of funding. Read here for more detail SMSF Borrowing: What Can I Do With An Investment Property Within The Rules. Remembering this is not a business venture, it is an investment within a heavily legislated structure that has a primary focus of providing for your retirement, you need to be wary of any form of ‘development’. If you proceed to make improvements so extensive that the result is an asset that is substantially different from the original then you may have in effect created a ‘replacement asset’ in the eyes of the regulator: the ATO. the re-zoning of the land upon which an existing house stands and its transformation into commercial premises. If the ATO considers that the character of the asset has been changed to such a degree, as outlined in the examples above, it now constitutes a replacement asset that they will deem falls outside the guidelines and may make the SMSF non-compliant. Thanks to recognition of the strategy by the tax office, where the property is commercial and the GST turnover is greater than $75,000, you do not need to register the holding trust for GST, only the SMSF needs to be registered. This also means if the property is transferred to the SMSF trustee, this doesn’t constitute a taxable supply and thus does not give rise to a GST liability. The bottom line: This is a comprehensive, but probably not exhaustive list of the errors that SMSF trustees can make in the process of managing a loan to purchase a property in their super. It is essential that you plan the purchase of a property well and do not act in haste or take advice from someone well-intentioned but without a clear understanding of the laws. Experience in dealing with the transaction from start to finish is essential to avoid repeating other peoples’ mistakes. This is Part 2 of a 3 part series. In the first article, we looked at the background to the limited recourse borrowing arrangements that can be used by SMSFs to invest in an asset, specifically a residential or commercial property. Now we look at the actual process (using NSW as our base as different states have slightly different rules). Real estate investing and self-managed superannuation can be combined activities, but there are rules to be aware of. Borrowing is one of the more complex areas in this process, but it can still be broken down into relatively simple steps. It’s certainly not child’s play, but this week we show how limited recourse borrowing arrangements can work. I have had a lot of enquiries lately for advice on SMSF loans for property investment and we have run regular educational seminars on the issue for clients and the public. My main observation from the enquiries I have received is that people are jumping on the band wagon without checking if they really need to take on the additional risk and costs involved. Here are some simple questions to consider before starting the process. Are you ready to seek advice, take advice and follow that advice? This is not an area to mess around with and the penalties of getting it wrong are expensive and time-consuming so unless you are willing to learn the rules, follow the rules and do the necessary paperwork as well as pay the initial set up costs then STOP NOW! Look elsewhere for a get rich quick scheme. Are you only considering this option because you have run out of equity to fund property purchases in your own name or are you genuinely interested in using property as a part of a diversified strategy to meet your retirement income needs. Using superannuation funds means the focus has to be on providing for your retirement and you need to ensure that is the primary intent of the investment. Would the prospective property investment stand up on its own to a proper assessment of its potential without the tax benefits allowable in this superannuation strategy. If an investment does not stack up under normal circumstances then do you really want to rely on future governments keeping their fingers out of the Superannuation pie to meet your retirement needs! If you have attended a seminar where you were actually offered a property and if so do you know what commission/fee/marketing allowance the promoter is getting as part of the deal? If you pay $6-$10K to set up the SMSF structure, $10-$20K Stamp Duty and the promoter gets say$17,500 which is 5% on a $350K property then you will need the property to grow by at least 10%-15% before you break even. Currently ANZ in its July Australian Property Housing Chartbook compiled by economists David Cannington, Paul Braddick and Ivan Colhoun. indicate a 4-5% growth rate would be the most expected over the coming few years. Are you prepared to do the hard slog yourself and research a decent deal in an area you understand and to ensure you are paying a fair price for a property with rental and growth potential over the longer term. Property is a great part of a long-term savings portfolio but like every investment you have to do the ground work and the current hype in this area has attracted the spruikers who promise much but deliver little long-term. Seek out the professionals who have an established reputation in the property sector and always do simple things like doing a Google search on the person or business and the word “scam” or “complaint”. I hope these thoughts have been helpful and please take the time to comment if you know of others questions investors should ask as I know this is not an exhaustive list. From the media hype you should already know that self-managed superannuation funds (SMSFs) can borrow funds to purchase assets, provided the borrowing satisfies certain requirements outlined in the Superannuation Industry (Supervision) Act 1993. This can be a very attractive option for SMSF trustees for a number of reasons. This is Part 1 of a 3 part series. In this first article, we will look at the background to the limited recourse borrowing arrangements that can be used by SMSFs to invest in an asset, specifically a residential or commercial property. While the Superannuation Industry (Supervision) Act contains a general prohibition against borrowing, SMSF trustees have been able to borrow to acquire assets since September 2007. The Act was further amended in July 2010 with the introduction of new legislation that clarified the intended operation of the borrowing exemption. The rules around the use of borrowed funds for repair and improvement and what is an acquirable asset were further clarified in 2012. 1) Single acquirable asset: The borrowed funds must be used to acquire a single asset or a collection of identical assets that have the same market value (which are together treated as a single asset), which the fund would otherwise be permitted to acquire. A single asset could be a parcel of, for example, 1000 ANZ Bank shares, but a parcel of 500 ANZ Bank shares and 500 Woolworth’s shares would not meet the definition of a single asset. 2) Restriction on improvements: The borrowed funds are not to be used to improve the acquirable asset. The ATO recently confirmed its position in relation to repairs vs. improvements of an asset acquired through a limited recourse borrowing arrangement in Self Managed Superannuation Funds Ruling SMSFR 2012/1. For example, if a fire damages part of a kitchen (e.g. the cooktop, benches, walls and the ceiling), the SMSF trustee could use the borrowed funds to restore or replace the damaged part of the kitchen with modern equivalent materials or appliances, but it could not use the borrowed funds to extend the size of the kitchen (as this would be considered an improvement). 3) Beneficial ownership: The acquired asset must be held on a trust where the super fund holds the beneficial interest in the acquired asset. This requires what is known commonly as a ‘bare trust’ or a ‘custodian trust’ to be registered as on the title as the legal owner. This is one of the reasons why the process can get complicated and is the main mistake made in implementing this strategy without doing the groundwork first. 4) Legal ownership: the documentation makes it very clear that the actual beneficial owner is the trustee of the self-managed super fund. After acquiring this beneficial interest, the SMSF has the right to acquire the legal ownership of the asset once it has repaid in full the lending for the property purchase. 6) Restriction on replacement assets: The acquired asset can be replaced by another acquirable asset (but only in very limited circumstances). For example, the proceeds of a claim after a fire destroys a four-bedroom home could be used to rebuild a four-bedroom home in a newer style but you could not build three town-houses on the same site using the funds. An SMSF can only borrow money to acquire an asset if it would not be prohibited from investing in that asset directly under the Act. This includes residential units, houses, commercial property like office units, industrial warehouses and a current flavour of the day: 7/11 stores! 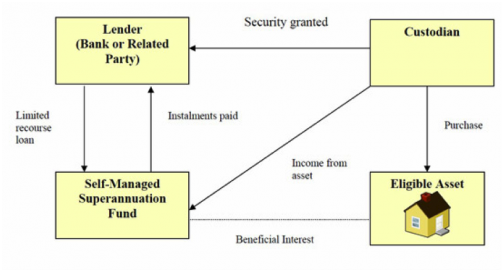 A SMSF is prohibited from intentionally acquiring an asset from a related party of the fund. The exception, business real property, must be acquired for market value but there are Stamp duty exemptions in some States liked Section 62A of the NSW Stamp Duties act. Business real property is an interest in real property where the property is used wholly and exclusively in one or more businesses. It does not have to be in your own business but it can be and this is why the strategy has been so popular with business people. 1) Related party lending: There is no restriction on you, your family, a related trust, or similar entity lending the money to the SMSF. The benefits of this are that you can avoid costly bank legal adviser fees and other incidental costs of borrowing from a bank. You must follow the suggested ‘Safe Harbour Provisions’ outlined in ATO guidance on related party SMSF loans (LRBAs) . You cannot put in place a loan that is worse in commercial terms for the SMSF. In any self -funding scenario you have to expect greater scrutiny by the auditor and regulators so as to avoid any compliance issues, SMSF members choosing self-funding should ensure their loan to the fund is properly documented and meets the requirements of the SIS Act. For example, the trustee of the SMSF must ensure that all investments are conducted on an arm’s length basis. This means that a proper lease agreement must be in place, repayments must be scheduled and met and as mentioned above the terms of the loan cannot disadvantage the SMSF in comparison to what’s available in the market. 2) Third party lending: Nearly all the major banks, and some specialised non-bank lenders, have developed SMSF loan packages specifically tailored to meet the requirements of the Act. 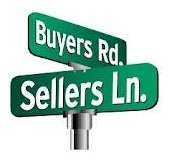 I really do recommend that you seek advice from a broker who has experience in this area as the terms and conditions offered by the various lenders differ dramatically as some deal with them through their residential lending division and others through their commercial divisions. The bottom line: Placing real estate assets into your self-managed superannuation fund can be both straightforward and financially sensible, but there are certain rules you need to follow carefully, In the next instalment of our SMSF session we will guide you through the steps involved in the process from start to finish. Please seek independent professional advice to ensure that any proposed strategy complies with the law, because there are severe penalties that can apply if the trustee gets it wrong. As always please contact me if you want to look at your own options. You can make an appointment by clicking here. We have offices in Castle Hill and Windsor but can meet clients anywhere in Sydney or via Skype.